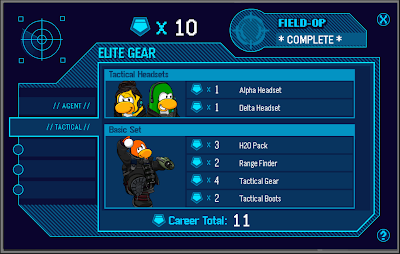 Club Penguin Cheats by Mimo777 Club Penguin Cheats by Mimo777: New Club Penguin Tactical Gear! That's some pretty sweet gear, huh? Did you get any of this new gear? Let me know which ones you will be sportin'! Haven't seen them yet, but they do look nice! 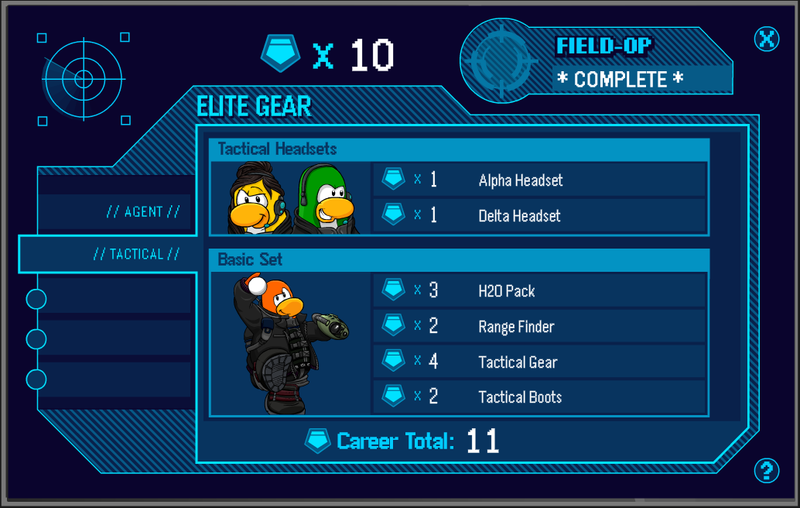 Maybe I should start doing field ops again xD I stopped for some reason... but why not have these outfits? I will start again. i havent got any yet. Im saving up so i can get them all at once. The new gear is Beast!!! I love the new gear! I really want the Alpha Headset, but I was saving up for the Alpha Pumps! (Which I got, and LOVE!). Nice gear! I might get it! I wish i could get the slpha headset but NO!Its all members Cp thinks that EVERYONE whos a member need extra special attention but not the non members but some members (like mimo)Dont dress up like members cuz they r cool and nice ppl! like kevster24 said he said it could be underwater because they both are on beachey parts it would be cool if it was with see thoguh windows so you see the fish pass like a gaint sub attached to cp but not a sub like a underwater room with air so you can breath and with a bunch on controlls! and now i can finally use it. Amazing set got it all for male and that's great. I'm pretty sure I can get all of them. LOL. I never bought anything, so I have 11 points! I don't really like the agent outfits. So I will buy tactical! Are they for non members too? Great minds think alike, eh? I was like going thru the games. That's so awesome. I got the H20 pack. and of course there members only! Is the range fidner doing something speical ? Because i bought everything but not it. I didn't see it! Thanks for the cheat! the bad part is that it is for members only. i will be wearing the alpha headset. i think the hair is pretty cool!